This is hands down one of the best purchases we’ve made for our cats since we got them. I’ve already got an article out there on helping control kitty litter tracking, but I’ll freely admit that this is by far one of the best methods for controlling it. 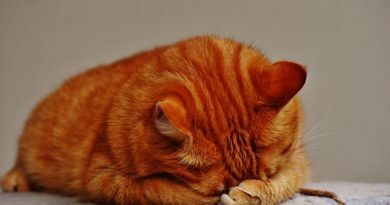 I’ve featured it in my top 10 best cat litter mats article for exactly this reason. 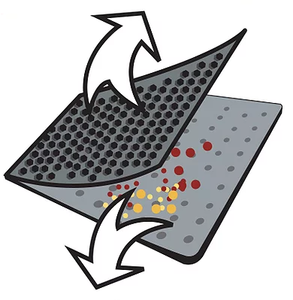 The Blackhole mat has a special design that has two layers, the layer your cat steps on and the layer that the kitty litter falls into and gets trapped in. The two layer design ensures that once litter falls down it doesn’t get kicked back out. 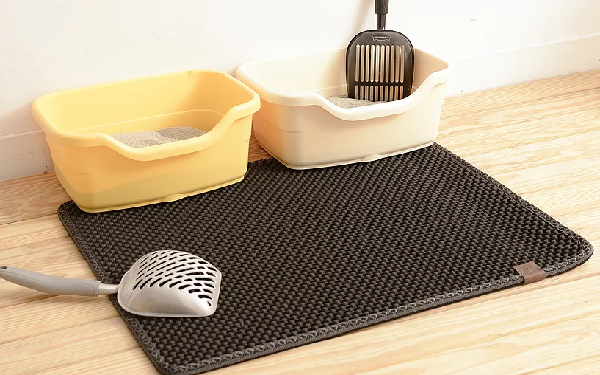 This mat is super easy to pick up and dump trapped litter out of (just be careful since both sides pop open) back into the litter box or into the garbage. It should also be noted that the mat is made of super easy to clean material. You’ll also be happy to hear this mat can be sprayed off with a shower head or a hose with a little bit of soap and water. Good as new. 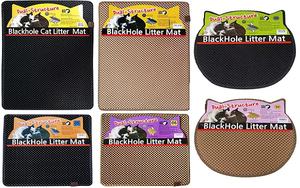 I haven’t used a CatGenie, but according to other reviews the Blackhole Litter Mat is 100% compatible with the CatGenie and will have you no longer stepping on plastic granules throughout your house! Wohoo! Added bonus. Awesome proprietary two layer design that really traps the cat litter as it falls into the mat. Minimizes the amount of mess just outside of the litter box significantly. 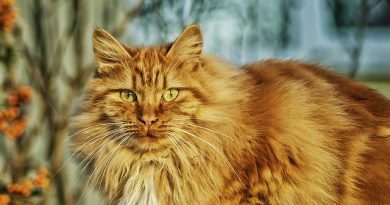 Very simple to pick up and dump extra litter back into the litter box or into the trash. Super easy to clean up if there’s any accident on it or if your cat vomits on it. Large in size so covers a wide area and you can set part of it right under the litter box to keep it from moving around. It is the most expensive litter mat I’ve come across. I wish it only opened on one side, be careful when you pick it up so the litter doesn’t dump out. Since the mat has bumps on it some cats don’t like the feeling and will try to avoid walking on it. The mat is not waterproof and things will get absorbed by it / leak through it. 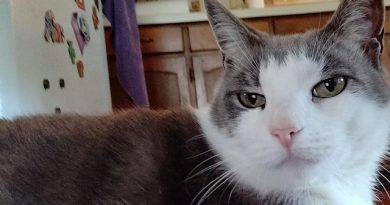 It can slip and slide on the floor, I place it partially under my litter box to avoid this. Empty it often, every other day if possible. If the holes get clogged the litter tracks like it normally would. Be sure you’ve got your litter box top removed or the trash can nearby if you’re going to empty it. Be sure you shake it out or bang it on a wall once or twice outside before you wash it out in a shower/sink, cat litter clogs drains. You may also want to consider a non slip pad to drop under the Blackhole Mat if your litter box doesn’t hold it in place. How large are the holes in the mat? The holes are about .25 inches in size. Is this compatible with the granules from a CatGenie? Yes, it is compatible. 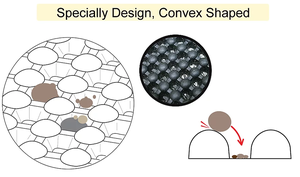 The granules will fall through the holes safely. Does the material it is made of have any sort of scent? There’s no scent I’ve ever smelled. The size linked above and below is 30″ x 23″. I really can’t say enough good things about this mat. If you’ve got a litter tracking problem then this is definitely your solution. It is super easy to use, super easy to clean up and it comes in at an affordable price for those of you being driven insane by constantly stepping on cat litter. If you’ve used a Blackhole Mat and have any addition experience or info you’d like to share please comment below or shoot me a note at Craig@StuffCatsWant.com so I can update this article to reflect your thoughts. Thanks for passing it along, much appreciated. Craig, This looks like a good product, even if it is a bit on the expensive side. Yes, it will take some time for the cats to get used to the bumps. One sure does need to be careful while pickng it up for there is every chance to dump the litter on oneself. I have also gone through other pages and posts on this site and must compliment you for building such an exhaustive (I am sure it is a continuous process) and very neat and clean look of the site. Thanks Deepika for your compliments on the site, it is indeed a work in progress (and probably always will be). Hahaha! So long as you never want to spin it around from any reason I suppose you’re right, that would probably work! Might try it myself. Thanks for stopping by! Haha, well hopefully this helps out! I had never thought of it for food, but that might work just fine with dry food that is on the smaller side. I would say it will hands down beat out any normal rug you’re going to buy. Normal bathroom rugs tend to be much ‘deeper’ and will collect a ton of litter, but they’re a pain in the neck to empty and vacuum out. A normal door entry rug is simply not going to catch much of anything and the litter will just end up on top of it.